This is the latest release from Cocowawa which I pattern tested for this summer! The Chestnut sweater and top are bow-tastic with 3 different versions all covered in the things in one way or another. 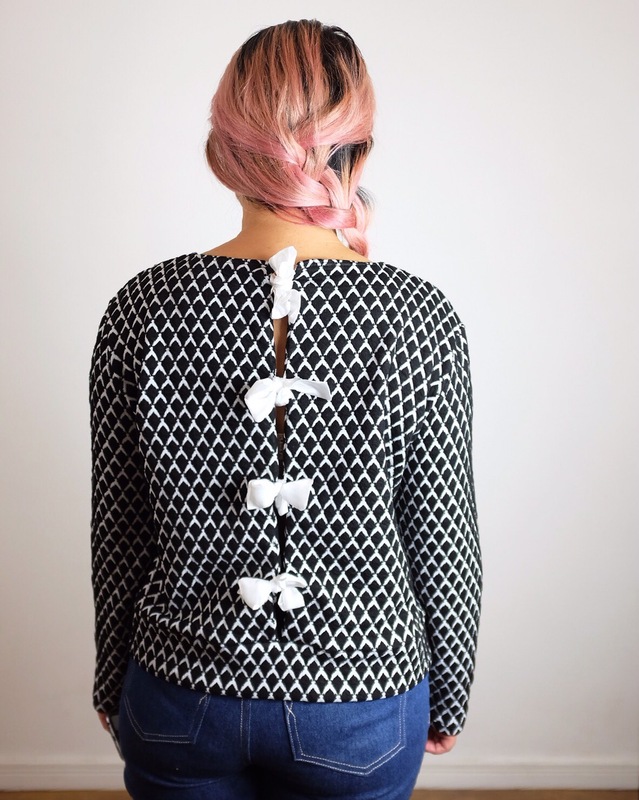 I tested version 3 of the sweater which features bows tied down the back. Not the most comfortable option for lying back in but so pretty! I did some stash busting with this make as well and used a knit fabric I’ve had in my stash for years. I’d been waiting for a good sweater pattern to come along for me to use it and it was definitely worth the wait. 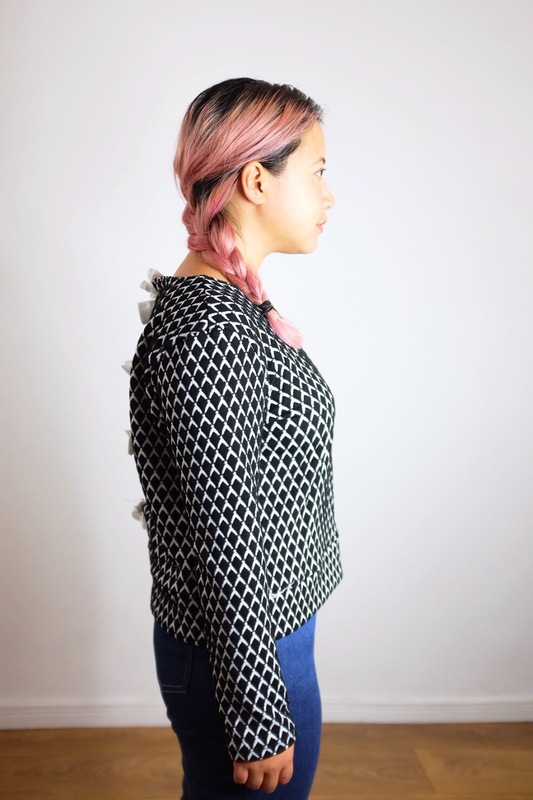 It’s a really simple sweater pattern with the additional twist of the open back with a row of four ribbon ties on each side to keep it together. For some reason that top bow just wouldn’t lie straight! I think next time I’d make the shoulders narrower on me. At the moment they’re doing some sort of a drop shoulder thing which I don’t think is that flattering on my shape. Overall though, it’s a great jazzed up wardrobe basic especially with winter coming up! It’s a really cute detail, and I am totally into Cocowawa aesthetic, but the bows in the back sound kind of impractical… I don’t think I’ll try. Versions 1 and 2 of the Chestnut have bows in more practical places! Lol. It’s a very pretty sweater for standing around in! It looks amazing! I love the fabric and the bows match really well. I love the back! What a cool pattern. Really love the fabric! 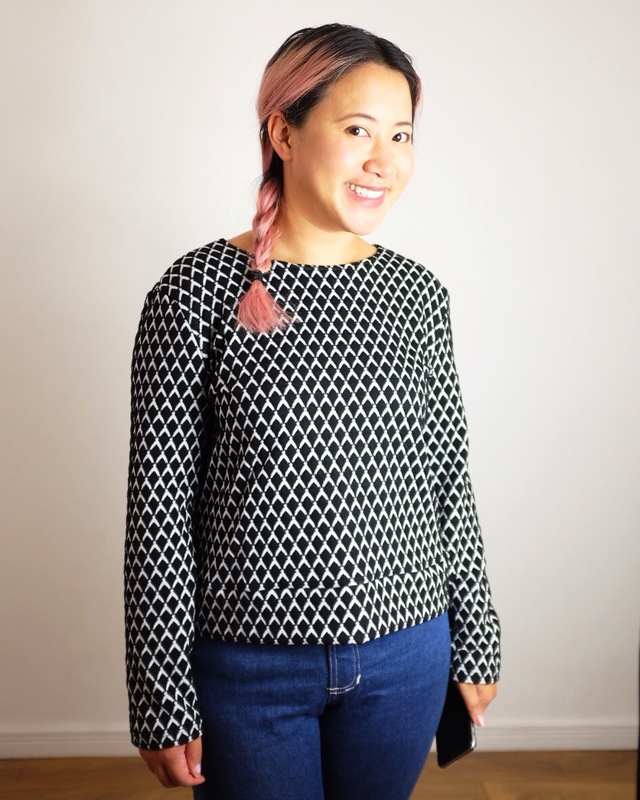 I like the contrast of the serious classic pattern with the cute and fun pattern of the top. Good job!